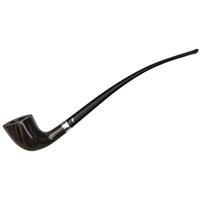 The Germans have always been quite adept at combining words and describing things based on utility and practicality. 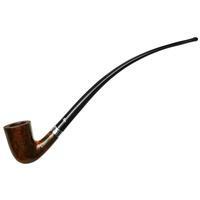 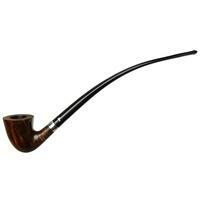 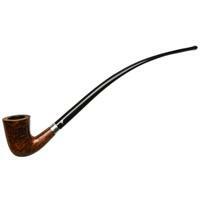 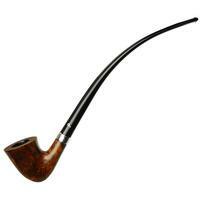 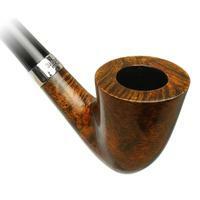 A fitting example here, the Churchwarden style of pipe is called Lesepfeife in German, which literally translates to "reading pipe." The long stem of this "D15" from Peterson makes it the perfect candidate for those interested in a pipe to smoke while reading and one that requires a minimal amount of movement while doing so, the sweeping transition of this lengthy bent Dublin fitting sublimely in hand.